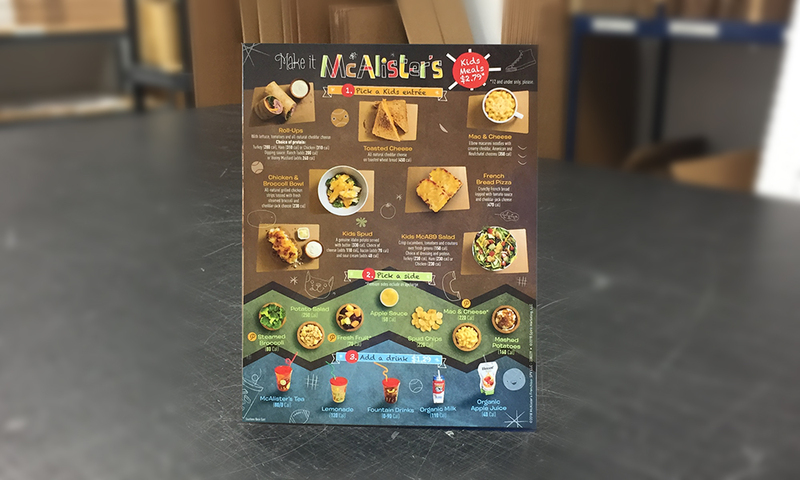 McAlister’s Deli has been a client of Vivid Ink Graphics for almost three decades. A member of the Focus Brands family of companies with over 400 locations across the United States is constantly creating new ways to improve the customer experience. 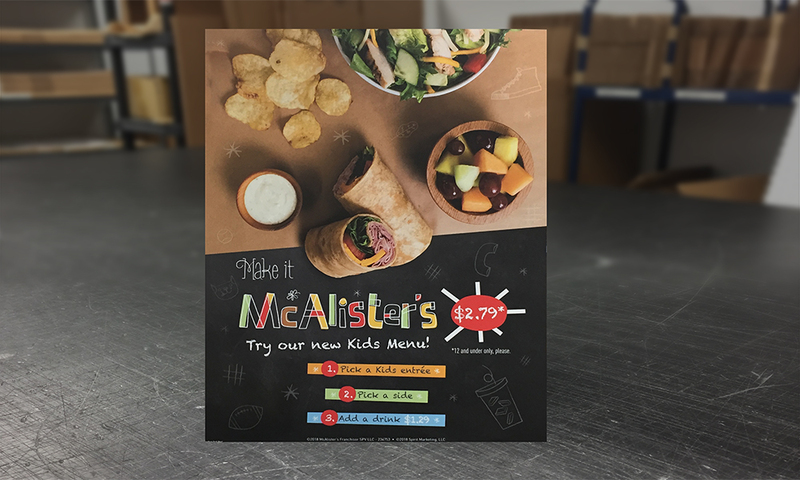 Consistently recognized as a top 100 brand, McAlister’s Deli turned to Vivid Ink Graphics for a custom solution. The specifications outlined that this promotion was required to fit on the counters in a complementary fashion. Vivid Ink Graphics has perfected creating innovative and unique counter graphics ranging from cash register wraps, limited-time-only graphics and custom die-cut gift cardholders. Vivid Ink Graphics created a unique piece that was printed on two sides and routed to hold the custom cups. 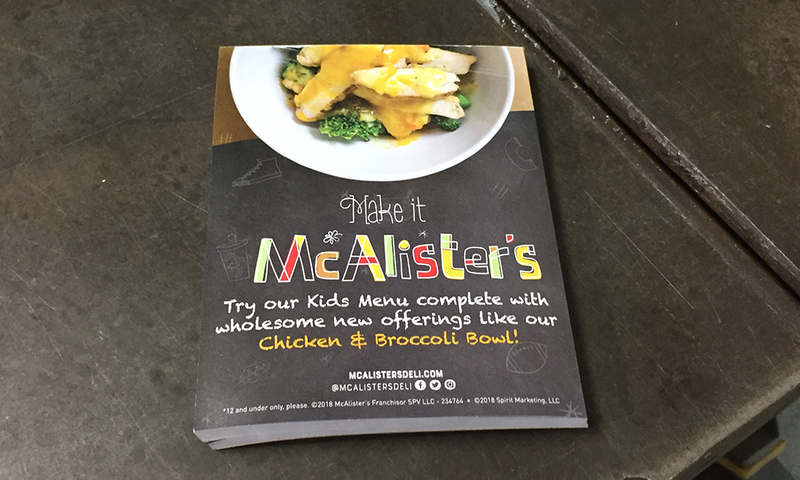 These promotional pieces were then shipped with the corresponding promotional information kits to each McAlister’s Deli location. 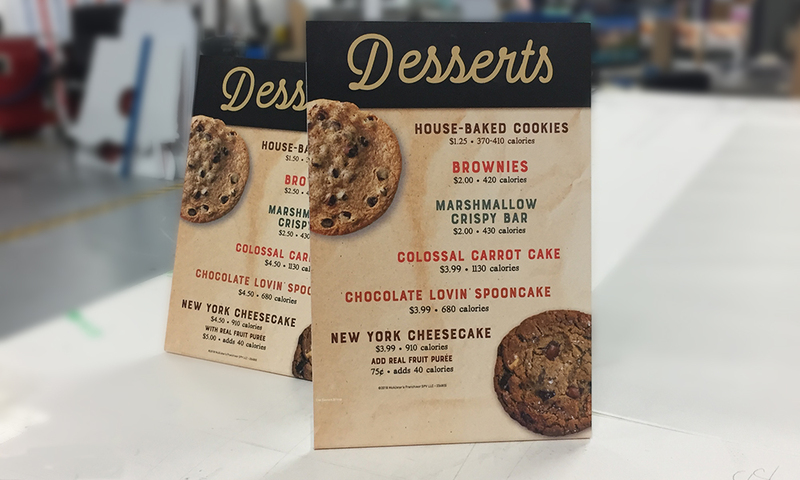 These items offer counter displays with custom graphics and shapes. 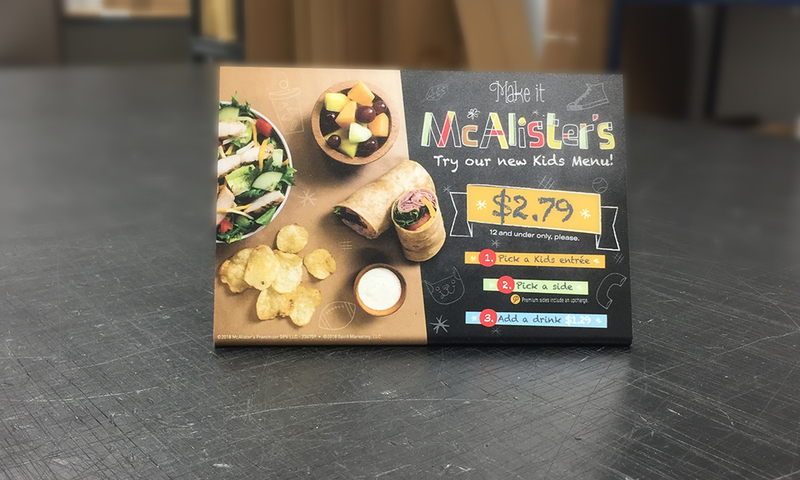 This allows McAlister’s Deli great flexibility in promoting their limited-time-offers and other specials throughout the year. 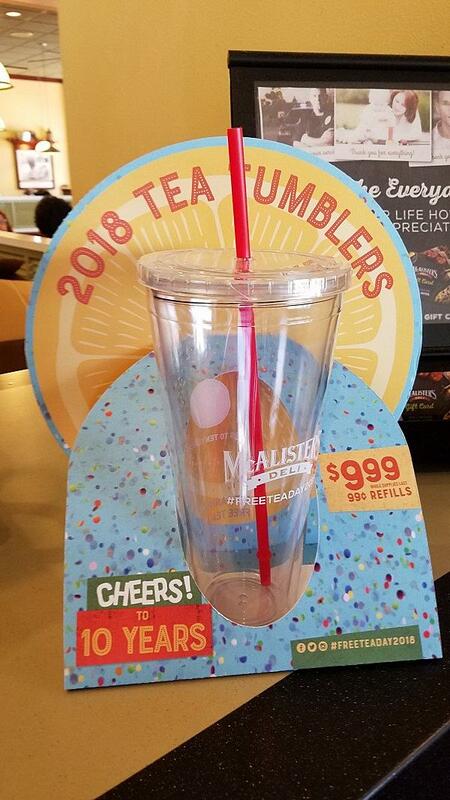 Free Tea Day is an annual event that brings in thousands of loyal customers to McAlister’s Delis nationwide. Each year a new design takes center stage and has to be unique and memorable. Each year we support the brand in that effort. We've used Vivid Ink Graphics in the past so we knew what to expect, as they understand what our needs are and plan accordingly. 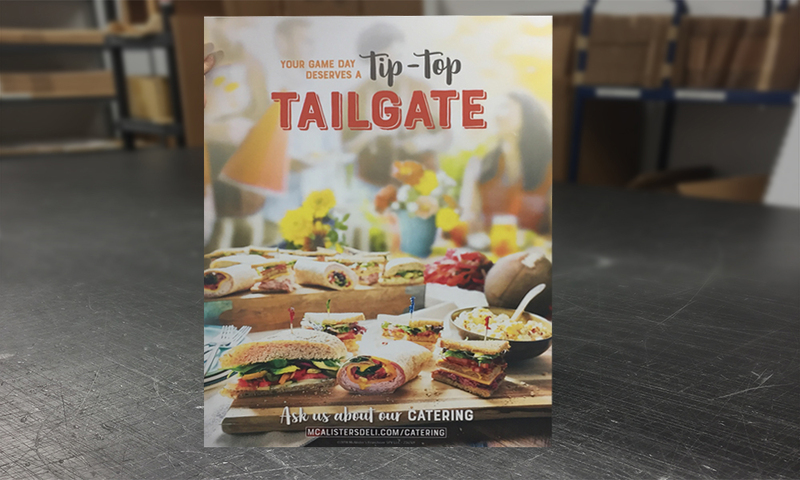 We were not surprised by how well it all came together – Vivid Ink Graphics understands our brand and is constantly recommending new ways to display the items.